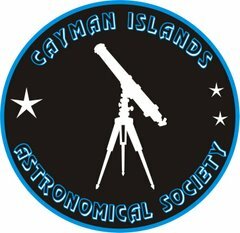 The next public meeting of the Cayman Islands Astronomical Society will be at St Pedros Castle on Sunday 28th of December starting at 6:30 PM – weather permitting. The meeting will be cancelled if there is more than 50 percent cloud cover . The time will vary a little on the night due to the age of the predictions made at the time of writing (19th Dec) Worse- the ISS may have made a maneuver to correct its orbit too! So add a few minutes leeway each way. Im also at the Marriot on the Saturday evening 27th – if anyone would like to help out please ring 925 7657 I will be there from 7:00 PM till 8:30PM. Theres’ a really good crossing of the ISS that night too. In January starting on the 6th of Jan and running for 8 weeks there will be a joint UCCI/CIAS course at the UCCI Observatory entitled “Astrophotography Essentials” The lion’s share of the course will be taught by Bill Hrudey and will be very modestly priced. Last we talked it was about 125 CI. Let me or Bill (whrudey@candw.ky) know if you are interested in coming and for further details. You will need a camera (obviously) and ideally an SLR. A T-adapter will also be needed – (we have some for Canon models only).You won’t necessarily need a telescope but you will have the opportunity to use different types on the course. For the third year running we will be hopefully at the Cayman National Cultural Foundations “Red Sky At Night Festival” on February 28th 2015 down Astronomical Avenue. The Winter Solstice is on December 22nd and is the shortest day of the year in the Northern Hemisphere. The evenings even here drawn in early although surprisingly to some the latest sunset occurs in late November! Its sometimes really nice to spot something quite normal in the sky for this time of the year but the moment when its seen itself makes it very special. The run down (?!) into Christmas for some of us seems very frantic with far too many things to do against a running clock... and for the third visit to a supermarket in as many hours tonight (Friday 19th) it was wonderful to see Orion rising in the East as I drove to Savannah. Do try and grab a few moments with the old fella! Jupiter is around too – but not really rising until around 10 :30 PM as a really brilliant star in the East. Jupiter was known as Jove in Roman times and was a key deity – in fact king of all the gods. Whatever your religion have a great break and hopefully see some of your before the New Year. 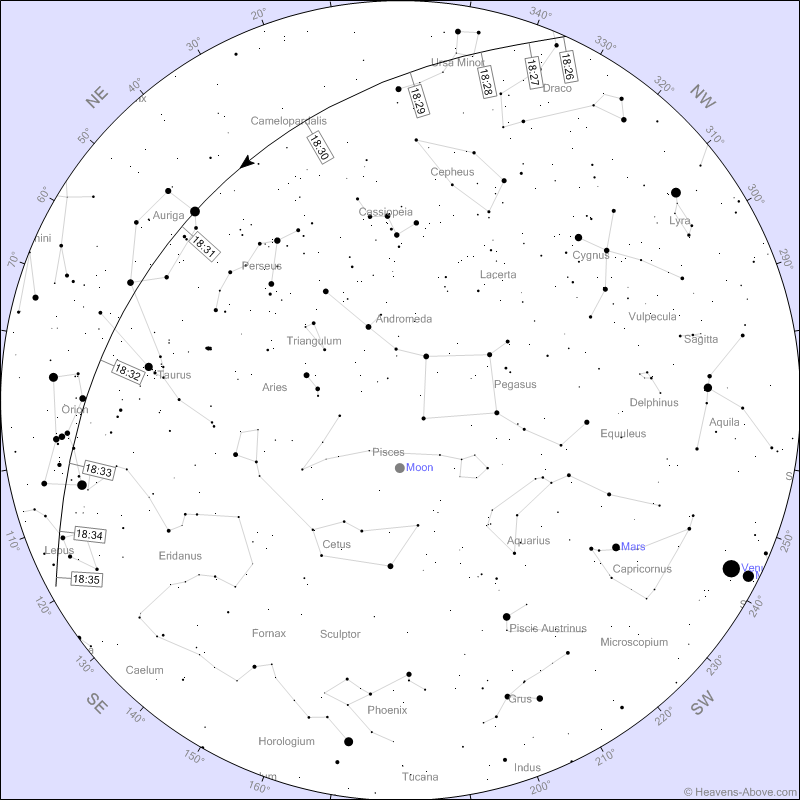 Chart below is for Sunday 28th December 2014 Time (local) 18:27 ISS crossing – remember the times may be out by a few minutes. The Chart is taken form the website http://www.heavens-above.com/ with the site authors permission.